Staff at Freespace Scotland have voted resoundingly for union recognition in the workforce of 137. Only three people voted against recognition of UNISON in an ACAS organised ballot of all staff and the legal 40% threshold was passed. 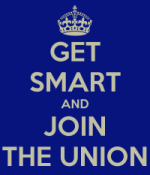 The Branch is now setting about organising stewards and members’ meetings and looking to recruit even more members.